As we approach a New Year, each of us has hopes for making a real impact. 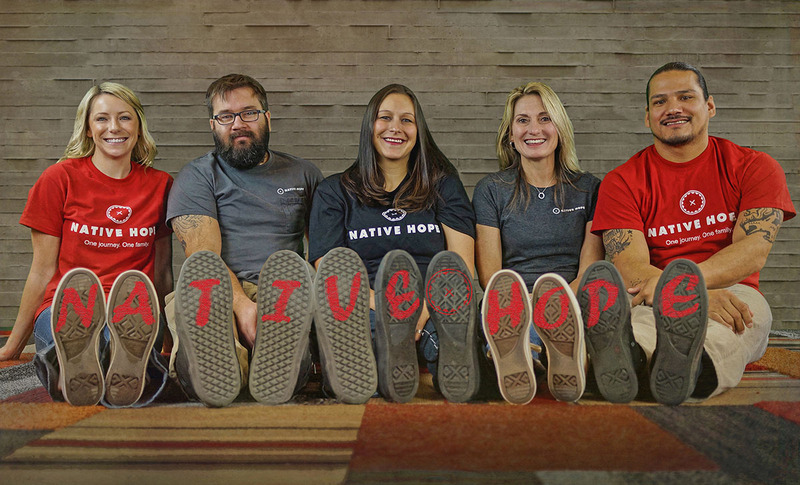 We understand that our role is to #educate others about the issues facing Indian country, to teach others to #empathize with a culture that needs revitalization, and to #empower young Native Americans to work toward their own definition of success. This year we ask you, our friends, to think about how to be a part of this awakening—how to contribute to a growing list of issues. We’ve reflected on some of our hopes for the coming year, and we encourage you to consider what your personal hopes are for America’s Indigenous. Together, we are stronger, and we can achieve success.Sounds simple, right? Of course, we all know that creating a movement that ignites people to take action and asks them to reconsider their norms is anything but simple. “My hope for Native Hope in 2017 is that our voices continue to spread awareness for the issues Native people face, that we continue to bring understanding of the strength and resiliency of Native people and reduce stigma around the world, and that we continue to strive for the solutions no matter how far-reaching they may seem,” shares Jaime, Ambassador. Erica, Intern, offers a simple hope, but perhaps the most poignant: “Aim for more suicide prevention.” Suicide is claiming far too many friends and relatives on local reservations. It is overlooked and must come to the forefront. “My resolution for next year? I’d like to be filming in 4k resolution [videographer joke]. But seriously, having the responsibility and honor to tell someone’s story forces me to pause and consider another’s view. May my worldview continue to be challenged, humbled, and built upon compassion,” explains Aaron, Videographer. Breaking stereotypes through effective storytelling, both written and visual, is the ultimate hope for Trisha, Content Specialist. She would like to expose the idea of “cultural bias” and work toward creating an understanding of identity and self-worth for Native youth. “What’s the old saying? ‘To know oneself is to love oneself.’ I believe this is the key to solving so many issues,” Trisha adds. Please share your hopes for Native American youth in the comments below.